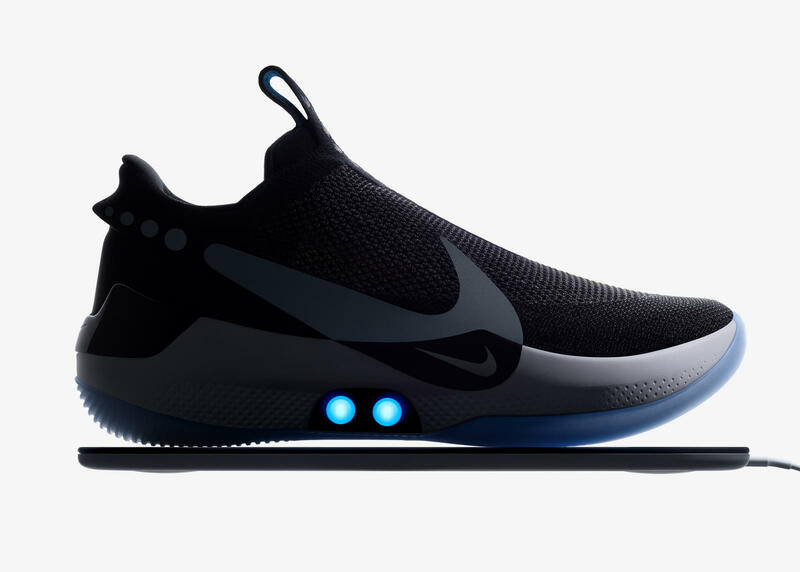 Nike has recently announced the launch on the market of the new Nike Adapt BB, a self-lacing, wireless charging, phone-connected sneaker. Packing tech components comparable to those found in a smartphone, including microcontroller, 505mAh battery, gyroscope, accelerometer, Bluetooth module, motor, lights, pressure sensor, capacitive touch sensor, temperature sensor, and wireless charging coil, the shoes connect to your phone via a new Nike Adapt app and wirelessly recharge by simply leaving them sitting on the included charging pad. The lights on the shoes will indicate battery status and once the charge is complete they will last about 2 weeks. While wireless charging in shoes is still novelty, there are already over 140 smartphone models, 130 car models and 5000+ public locations offering wireless charging. Aircharge also offers a wide range of wireless charging accessories for the home and the office.